The first International Alexander Awareness Week (IAAW) took place in June 2004, when the Society of Teachers of the Alexander Technique, STAT, decided to inaugurate IAAW week, in order to celebrate the fact that the Alexander Technique had been taught in the UK for 100 years. In 2018 the name's been changed to 'Alexander Technique Week' and it now takes place in October each year. F M Alexander came to live in London at the age of thirty five, in 1904, and began to teach his eponymous Technique here. Initially, Alexander and his work were unknown in London but he was recommended to various eminent doctors and his teaching practice soon grew. Alexander developed a reputation for teaching children and actors how to improve their general use so that they could breathe properly. By 1910, F.M. as he was known by his pupils, published his first book in the UK, 'Man's Supreme Inheritance'. In 1931 Alexander began the first Teacher Training Course in London and although he also taught in the USA and South Africa, Alexander continued to work in the UK until he died in 1955, shortly before his 87th birthday. His work is recognised the world over and he has been rated as one of the top '200 people who made Australia great'. So it's well worth celebrating his work! 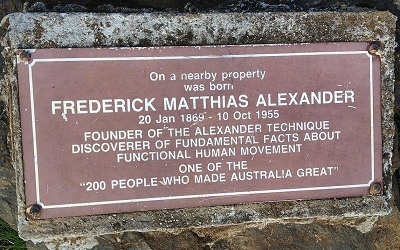 The 2004 Centennial celebrations were held in the UK, Australia and the USA, with a week full of activities and classes in the Alexander Technique. This first IAAW week was so successful that it has now become an annual event promoted by the International Affiliated Societies of Teachers of the Alexander Technique. ATAS is made up of the fifteen national Alexander Technique Societies that uphold the standards of Alexander Technique teacher training and practice around the world. ATAS also acts as an umbrella body for the many teachers who live in countries that have not created their own A/T Society as yet. IAAW is celebrated in the fifteen countries represented by ATAS, with a variety of events such as Introductory Workshops and talks, that focus each year on a different theme to do with the experience of learning and teaching the Alexander Technique, For instance, the 2008 theme was linked to the publication of the major ATEAM research trial, published in the BMJ in August 2008, which shows that the Alexander Technique can offer those who learn it, the chance to find an end to back pain. Other themes have been coping with stress and avoiding the problems associated with 'text neck'. Each year, so far, there have also been special IAAW Discount Vouchers available, which entitle people to one reduced rate lesson with participating teachers such as myself. 2008 saw another important anniversary for STAT, which was formed in 1958 by a group of Alexander Technique teachers. All had been trained by F M Alexander himself, who had died in 1955. The formation of STAT brought together most of the existing Alexander teachers and the Society began the process of regulating the profession. 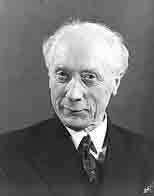 STAT is the oldest and largest professional organisation devoted to the Alexander Technique. Currently, there are over 2,500 registered teaching members within STAT and its Affiliated Societies worldwide. STAT aims to ensure that a high level of Teacher Training and teaching practice are maintained throughout the profession. STAT is the professional body to which I belong and in order to become a teaching member of the Society, we are obliged to train at one of the STAT recognised 3 year Teacher Training Courses. Each STAT registered teacher is required to adhere to the Society's published Code of Professional Conduct and Competence, and to be covered by professional indemnity insurance.